The sky bridge connected Cavanaugh Hall on the second- and third-floor levels to the completed Campus Center at the second-floor level. The project involved conditioning the space with heating and cooling. 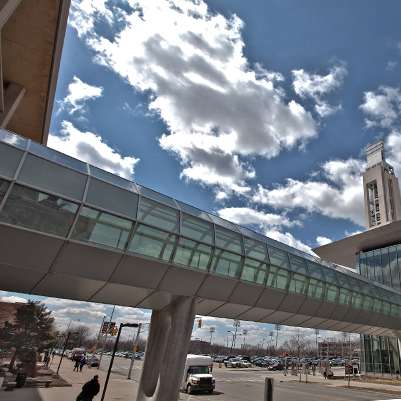 The design follows the basic concept of existing sky bridges on campus.